Fischer Signet is part of the Georg Fischer Piping Methods Group based in Schaffhausen, Switzerland, offering piping options for almost 200 years. A broad spectrum of product options supplies you with quality, flexibility, reliability, along with modularity. 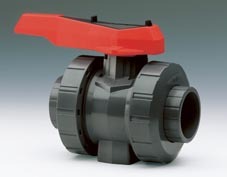 The ball valve sort 546, successor of the ball valve sort 346, is the fully developed results of forty years GF Piping Methods experience in plastic pipeline Know-How. 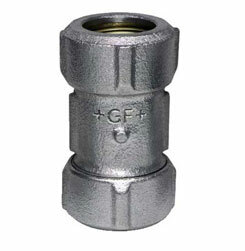 PRIMOFIT is a compression fitting made of malleable iron which offers full end load capability. It is available with black or hot dipped galvanised surface. PRIMOFIT is suitable for the connection of steel-pipes, PE-pipes, lead-pipes and special steel pipes. 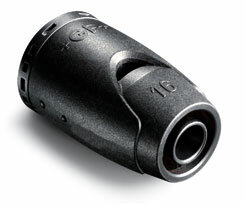 Transition couplings from steel- to PE-pipe offer a good solution especially for utility companies. iFIT is the most innovative pipeline system for bathroom/WC and heating installations. The innovative joining technology and modular system make iFIT fast, simple and cost-effective. With 50% fewer parts within the range, the modular system is extra versatile than standard set up systems. This permits low inventories with most flexibility. Splendid for building sites, dependable and easily quicker.